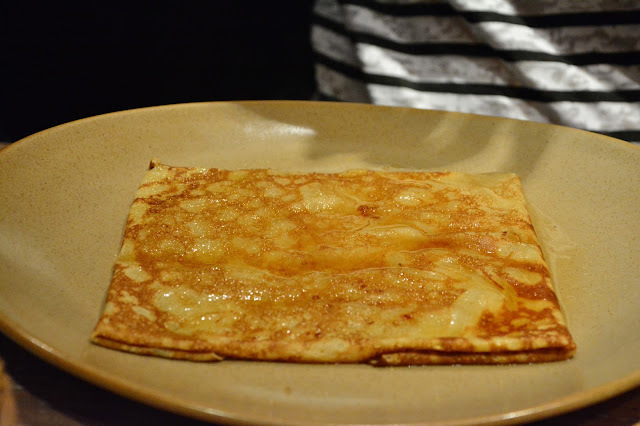 The Paris Feast: Breizh Café : One of the best Creperies of Paris. 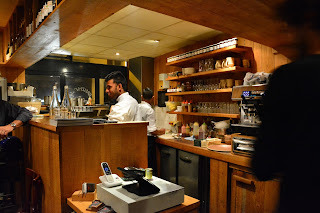 Breizh Café : One of the best Creperies of Paris. A galette or to be more specific a Breton galette (originating from the Brittany region of France) is a thin pancake made with buckwheat flour usually with a savory filling. Buckwheat is not related to wheat rather is related to sorrel, knotweed and rhubarb. The seeds are rich in complex carbohydrates and being non-grass it is a pseudocereal. In France, a restaurant specialized in galettes and crepes is called a crêperie. 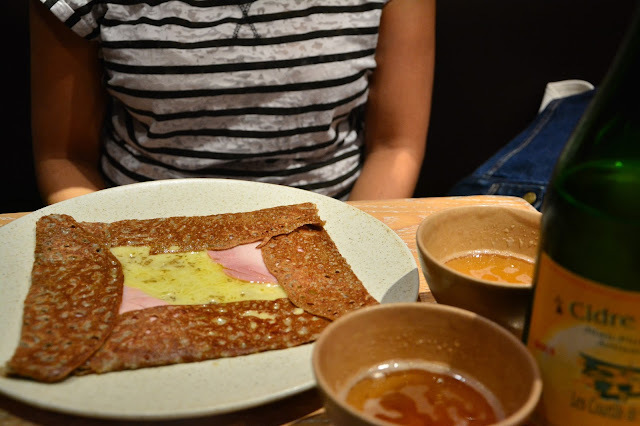 Now I would love to tell you about the place that serves the best galettes in Paris, the Breizh Café (the Brittany region is colloquially known as Breizh in French). 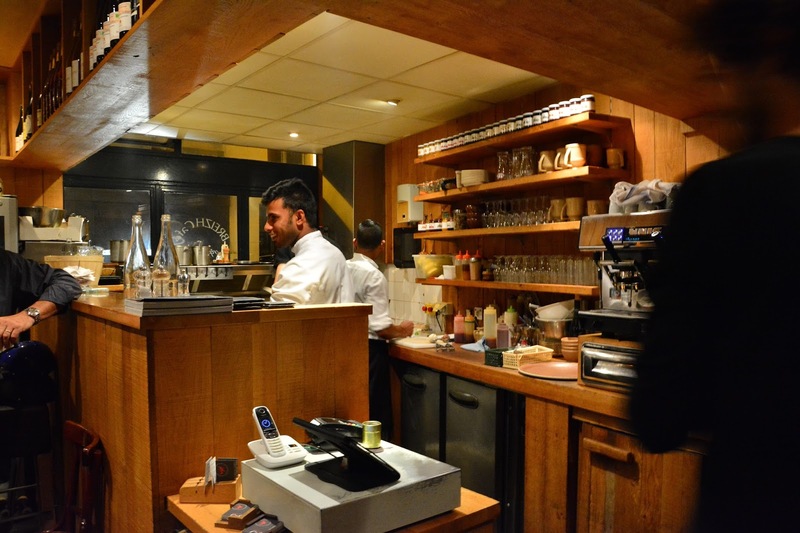 Bertrand Larcher, the founder of Breizh Cafe did his specialization in culinary skills from Ecole Hoteliere of Dinard in the Brittany region. He then moved to Tokyo with his wife where they soon became attached to the French community in Japan. 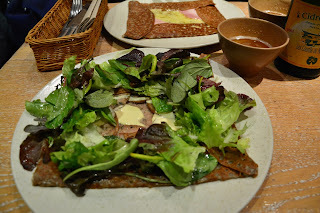 In 1996 he opened his first crêperie in Kagurazaka,Tokyo and named it Le Bretagne. After his success in Tokyo he decided to return to his birthplace in Fougeres in the year 2002. 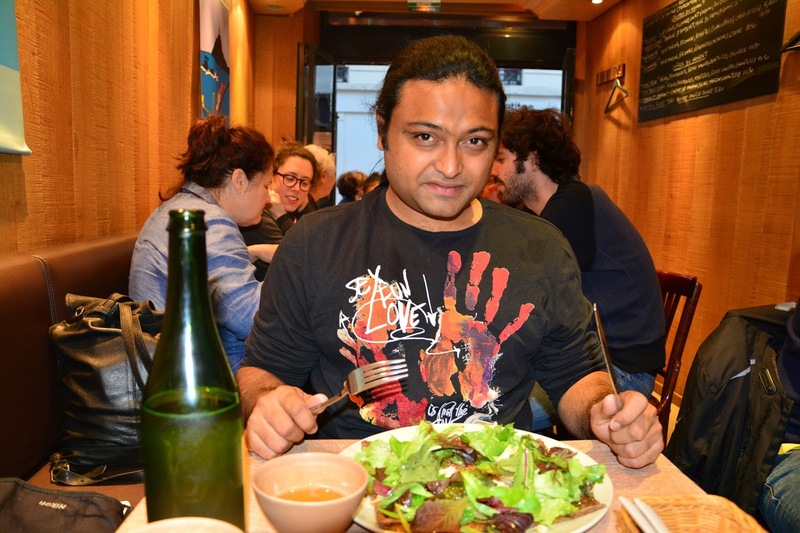 In the same year he started a creperie named Le Tivabro in Fougeres. In 2005 he opened the first Breizh Cafe in Cancale, France and thus a brand was born. 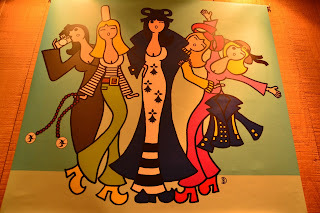 Then in 2007 Breizh Café extended beyond Brittany and the first restaurant was set up in Paris. 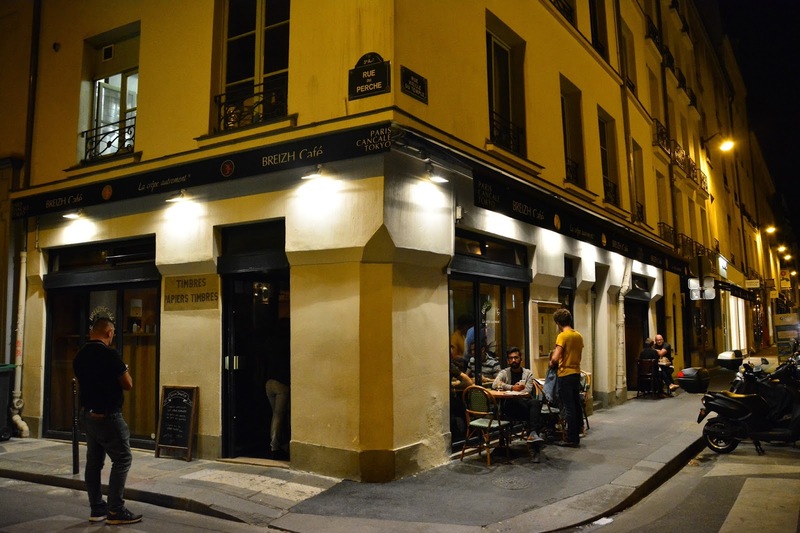 For this he chose the posh area of Marais in the 3rd arrondissement. 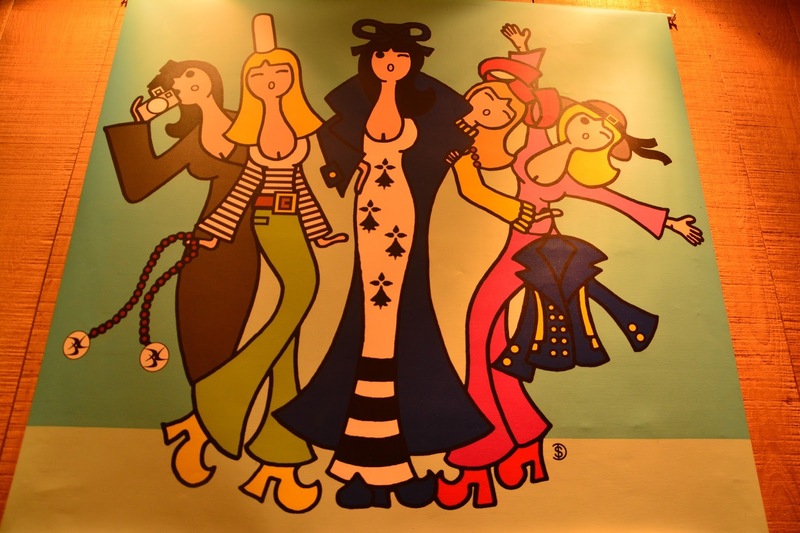 In the mean-time between 2005 and 2008, six other Breizh Cafes opened their doors in Japan. 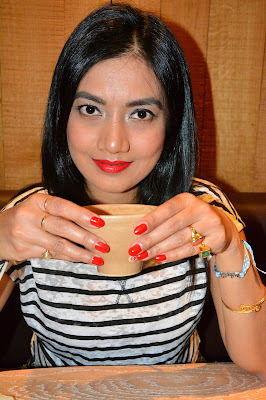 I wanted to visit Breizh Cafe for a special occasion and Mitra's 31st birthday which fell on a Sunday gave me the perfect opportunity. I wanted to take him to a place that's outstanding yet pocket friendly and Breizh Cafe is just the right choice. I thus reserved a place for two at 8:30 P.M. However after reaching there we had to wait for about 5 minutes at the entrance before we got our table (this shows how busy and popular the restaurant is, and thus taking a reservation is a must). 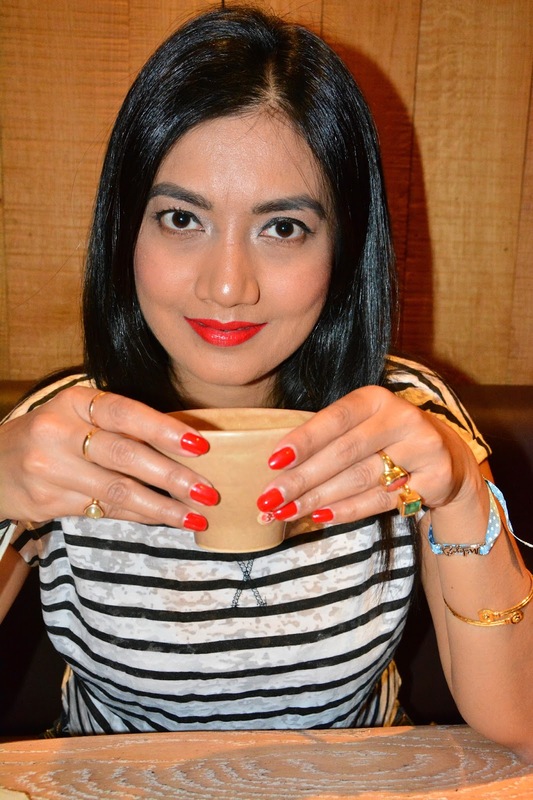 Let’s now get to the delicious delights that we tasted. Mitra opted for Fougeraise which is a combination of Andouille la Coglaise (a smoked sausage specialty from Brittany), fresh cream from the farm with mustard and green salad. I opted for a simple jambon (ham in French) blanc artisinal de Bretagne and chesse galette. 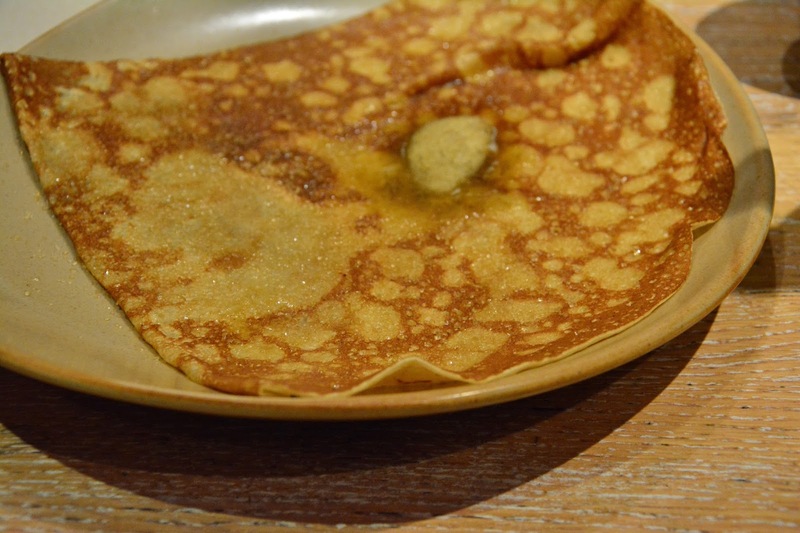 The galettes were thin, slightly crispy but not overdone, rather perfectly done. The ham was of very high quality and very tasty. Many places over-cook the galettes which gives it a bitter taste but the galettes at Breizh Cafe were just perfect. 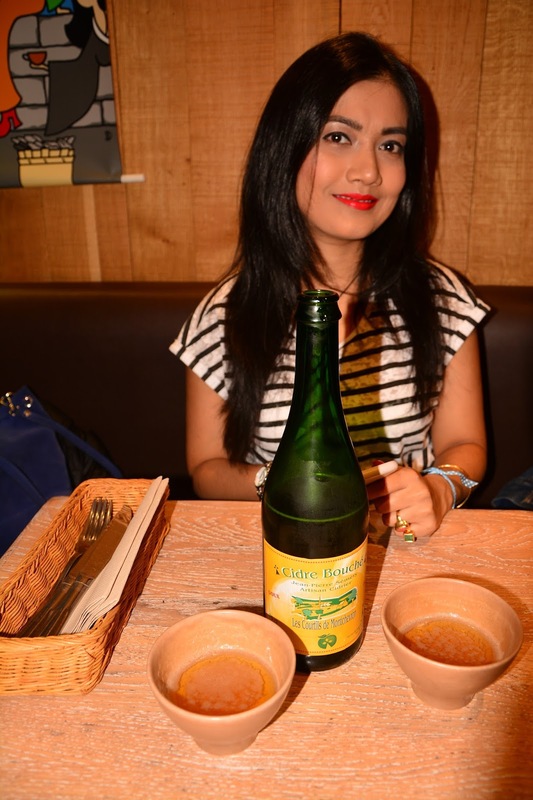 I opted for a sweet cider (Cidre doux) to drink along with our galettes and was happy to find that Mitra liked the taste. Thus I can safely say that it was here that I tasted one of the best galettes in Paris. For desserts we opted for crêpes. 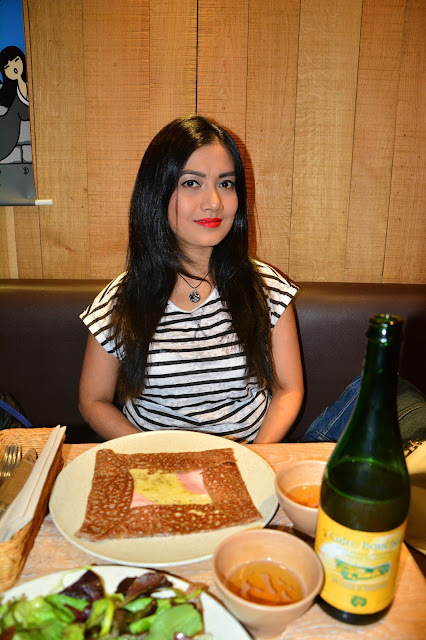 Mitra tried the Breizh Cafe special crêpe, Carrement Caramel and I took the crêpe flambe Duchess Anne. 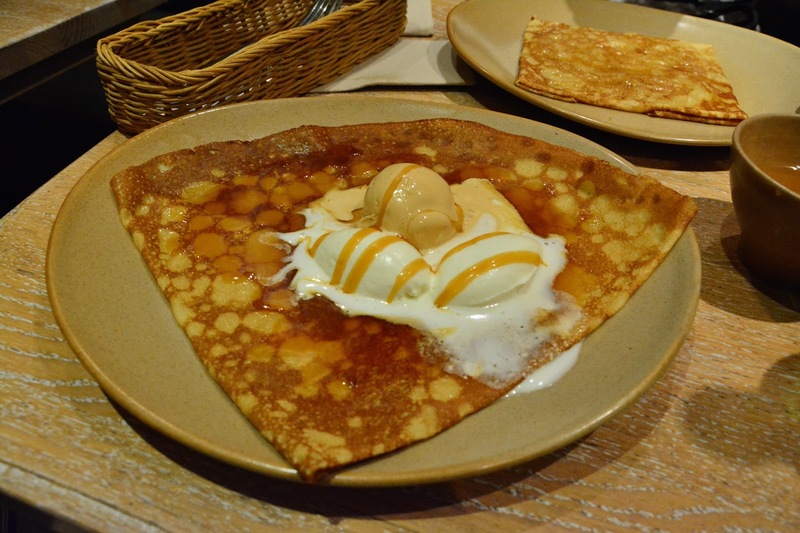 Carrement caramel is a crêpe with caramelized salted butter, Chantilly cream and caramelized salted butter ice cream, while Duchess Anne is an apple puree filled crêpe flambe with Lambig, a Brittany liquor produced by distilling hard cider. I also tried the basic butter and sugar mixture crêpe. Each of the crêpes was tasty and the sweet tooth in me wanted to eat more. It was a beautiful evening spent in the company of my favorite person, eating good food and drinking good cider. I highly recommend this place to any person who wants to eat the perfect galette and the perfect crepe. It's a must visit restaurant during ones trip to Paris. Hi, yes they have crepes with buckwheat and are called galettes. In fact in France only the dessert crepes are made with wheat and served with icecream or other sweet toppings, fruits etc. 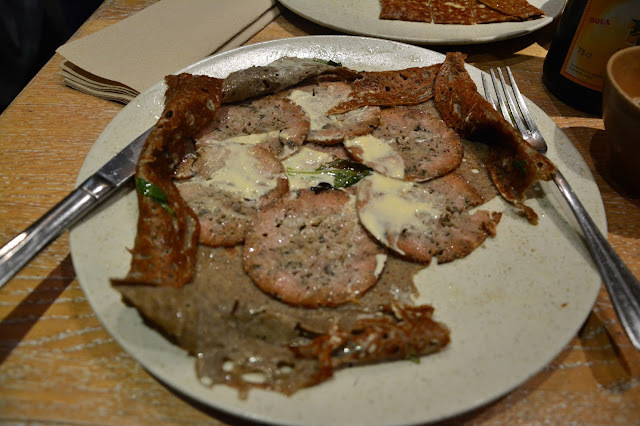 All salted crepes which are ate as the main dish are made with buckwheat and called the galettes.